AFL Fiji is set to take IC17 by storm with the naming of it’s strongest team to date. The men’s team otherwise known as the Fiji Tribe, will take part in their third consecutive International Cup since 2011. Jiuta Vateitei and Meske Koroi has been the Tribe’s best and most consistent performers, and will return to Melbourne with the Tribe on their back to ensure Fiji play finals. 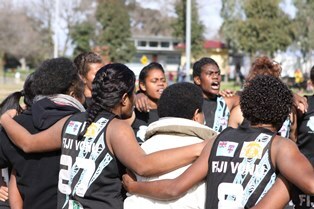 AFL Fiji will also be sending it’s womens team in the Fiji Vonu for their second consecutive International Cup. The Siteri Tadrau lead side will aim to take it’s game to the next level and show they mean business with experience from a core group of women who will return to Melbourne for their second time. 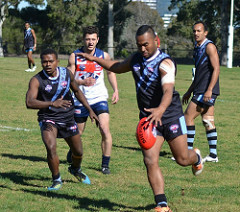 AFL Fiji has under-performed at previous outings and with the naming of their most experienced team’s, look out for both the Fiji Tribe and Vonu to climb up the world rankings and cause a few upsets.